Over half: Ten of the eighteen released dogs had been returned to the Clay County Humane shelter by mid-afternoon Thursday. One group was found in the southern part of the county along the Cory-Staunton Road and another in Parke County. 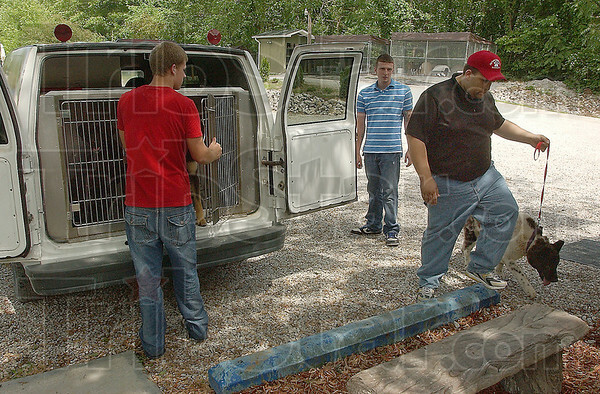 Here shelter director Mike Sorrels leads one animal to the pens while Tommy Anderson and Ricky Adams prepare to unload others.